Ever since Aristotle inextricably linked politics and cities, writers have shared ideas on how to improve local life and governance. Ever since Aristotle inextricably linked politics and cities, writers have shared ideas on how to improve local life and governance. While the great books of Jane Jacobs and Lewis Mumford focused on better understanding the city's economic and spatial dynamics, many of today's urban policy books explore opportunities for government and civic leaders to disrupt the status quo. 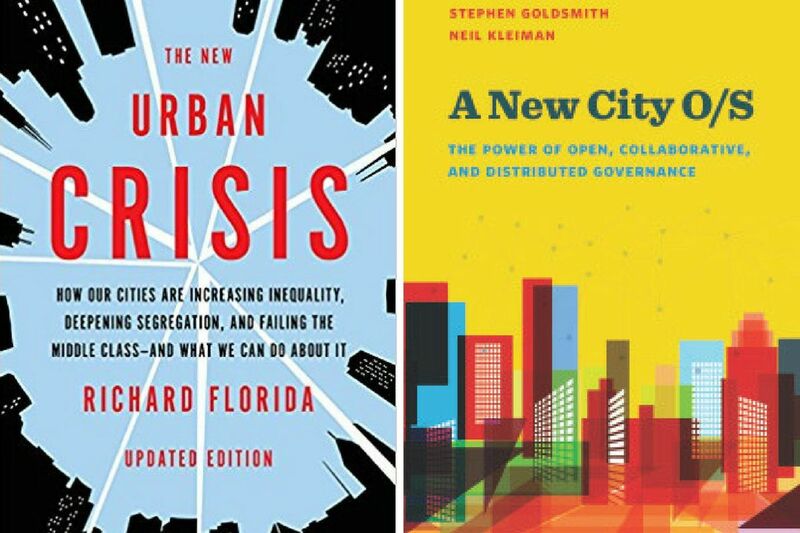 This short list suggests a few recent titles that, like The New Localism, capture the urban innovation trend. Human-centered design, big data, and distributed governance aren't what you typically think of in city government. This book proposes a new operating system for city governments that is more dynamic and responsive to residents' needs. Daniel Doctoroff, a former deputy mayor in New York City, charts his post-9/11 strategy to drive economic growth in the city through an array of surprising public-private partnerships, including an Olympic bid, and rezoning vast sections of the city. Gabe Klein earned a reputation as a path-breaking government transportation official in Washington and Chicago after launching the first and biggest bikeshare systems in the country. This short, fun book is written for "anyone who wants to change the way we live in cities without waiting for the glacial pace of change in conventional government, nonprofit or corporate settings." John Hickenlooper's tenure in Denver changed that city's destiny, making it a regional powerhouse built on smart investments in people and place. Within this authentic biography are governance lessons from his unlikely trajectory form brewpub entrepreneur to mayor and finally governor. Richard Florida's latest book is notable less for its lamentation over growing inequality and its solutions, such as affordable housing, than its accumulation of data about American cities. Each page brims with data that show the perilous effects of the status quo in urbanization and local governance. Diana Lind is managing director of the Penn Fels Policy Research Initiative and the former editor in chief of Next City.